On Sunday last we had a little rain, enough to wet the ground. Night-time temperatures have dropped a little; being able to sleep at night has made me feel a little better. If the cooler nights continue, but already last night was warmer than Sunday night, the plants will benefit from some dew. Lower temperatures are also promised for next week (I have everything crossed!). The August issue of my Italian gardening magazine communicates that there hasn’t been a June and July together this hot and this dry since records began (and now there is a scorching August to add into the statistics); local friends, who are assiduous at keeping records of max. and min. temperatures and measuring rainfall, tell me that there has been no measurable rain since May 28th! Again this morning we had a 15 minute shower – not enough to do much good but, for me psychologically good as it brings a promise that we will get some proper rain soon. The extreme conditions are making me reassess my thoughts on what drought really is. I’m sure this sounds silly – a drought is a drought is a drought. But actually it isn’t just about there being no rain; we rarely get any rain here from July through to the end of August. What has made the difference this year is the higher temperatures, just a few degrees higher every day and less obviously higher night time temperatures, giving plants less time to recover. Then there have been even more strong winds this year; this morning’s shower wet the ground but then the wind grew stronger and everything was dry again within half an hour (at the most). As I write the wind is blowing continuously, I can hear it in the chimney; I’m listening to the leaves of the wisteria rustling. This desiccation by the wind is not to be underestimated. 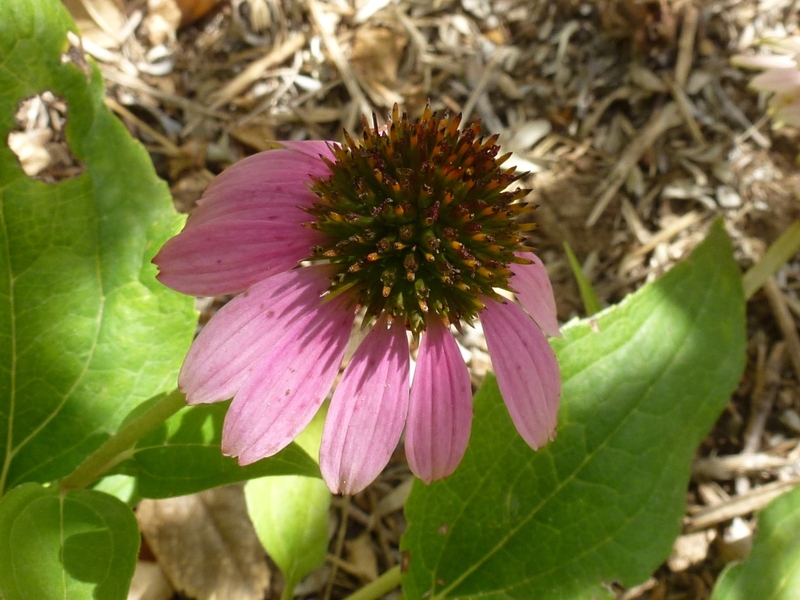 I’m looking with reawakened interest at the plants that are really thriving, not just surviving; I will use more of them as structural plants so that when this hot summer is repeated in the future there will be more plants that I don’t have to worry about. 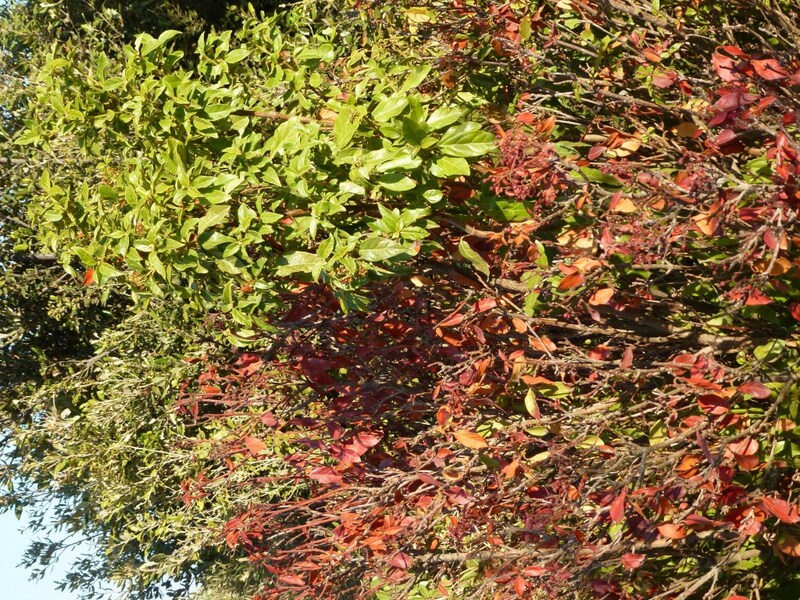 I mentioned some in my post about foliage; the good ones are rosemary, Ceanothus, Teucrium, Myrtle and Euphorbia, although a couple of plants have died but they were probably a bit old. 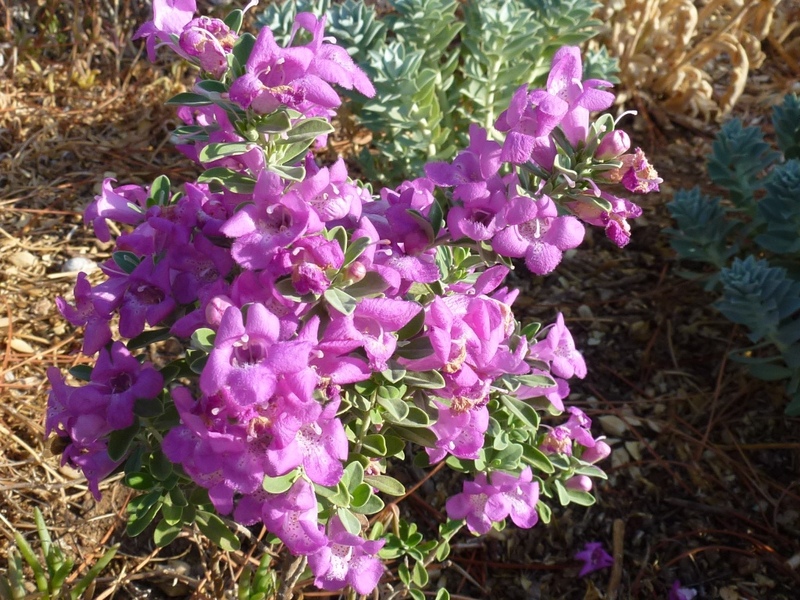 Teucrium, thrives in the heat, you can prune it – maybe I will replace the dead box with this, not as long lasting but tough! 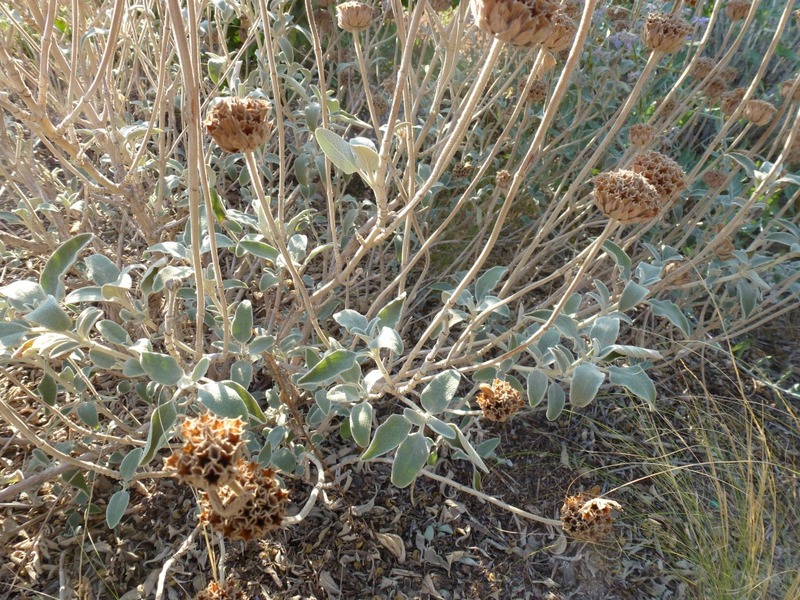 Cistus and Pholmis sufruticosa are alive but their foliage has curled to protect itself so that don’t look wonderful. 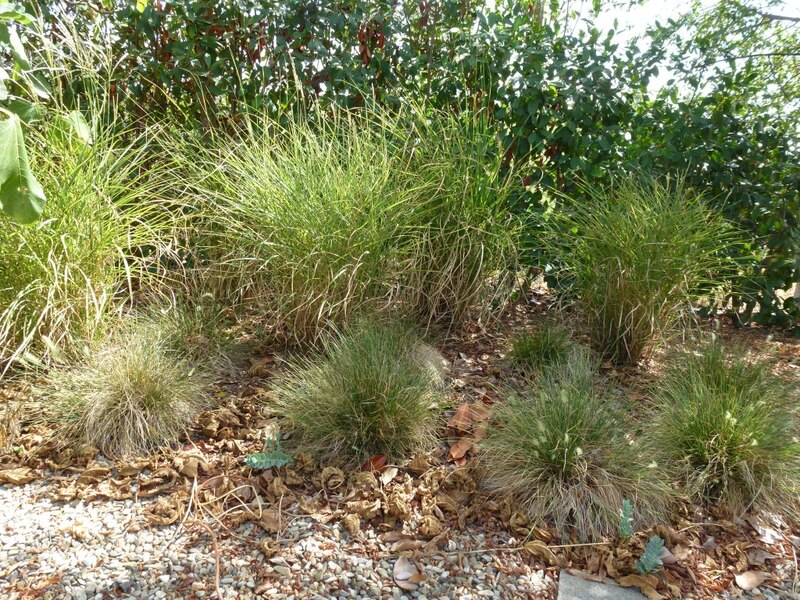 Then there were the surprises – plants I would have bet good money that they would be OK; Festuca glauca is a plant I’ve always considered very, drought tolerant but several have died and there is such a build-up of dead thatch on others that they either need replacing or digging up and dividing, discarding the dead stems and hoping that they will reform into their usual round shape. Nepeta is tough, just a couple of soakings with the hose and it is regrowing! I intend taking cutting and using more of this around the garden, I love its colour. 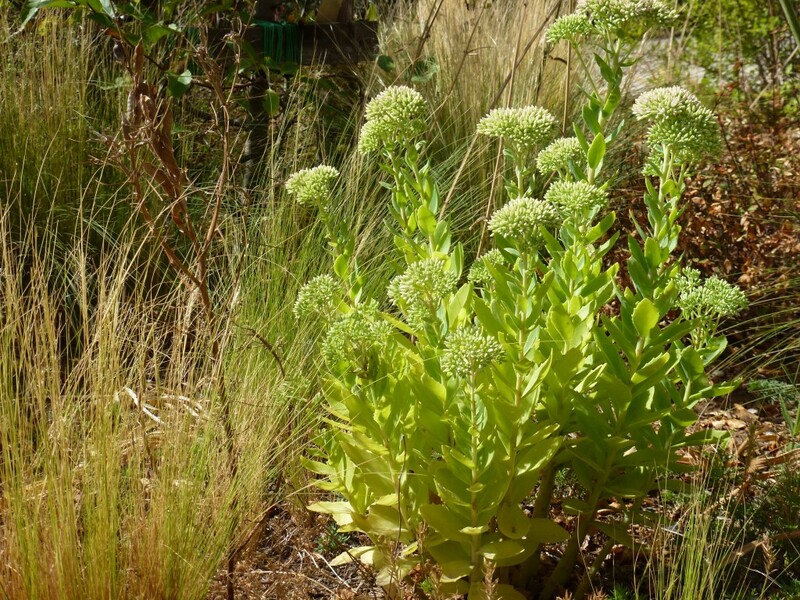 Most of the Sedums are growing well, although some are smaller this year. 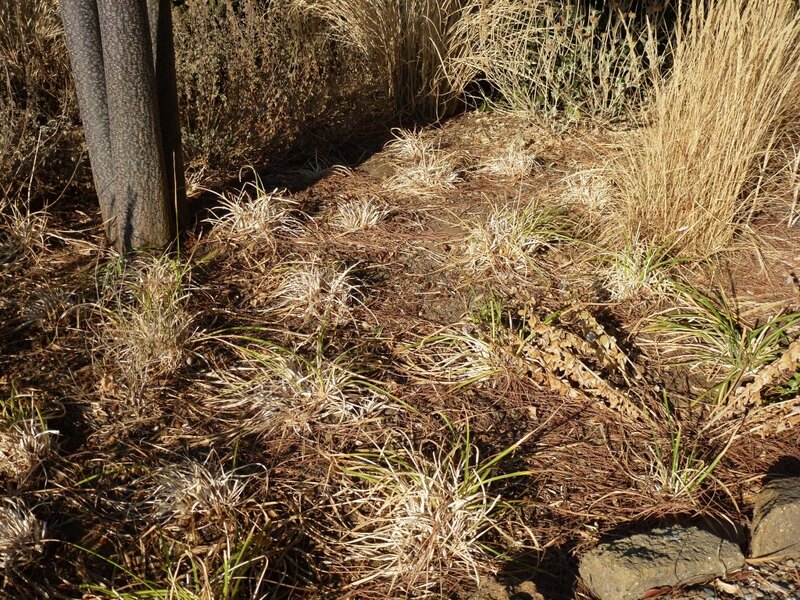 These grasses, Miscanthus and Pennisetum are on the edge of the circular rose bed, they are just receiving water through the soil, there is no direct irrigation to them but the roses receive 1 hour per night 3 times per week. 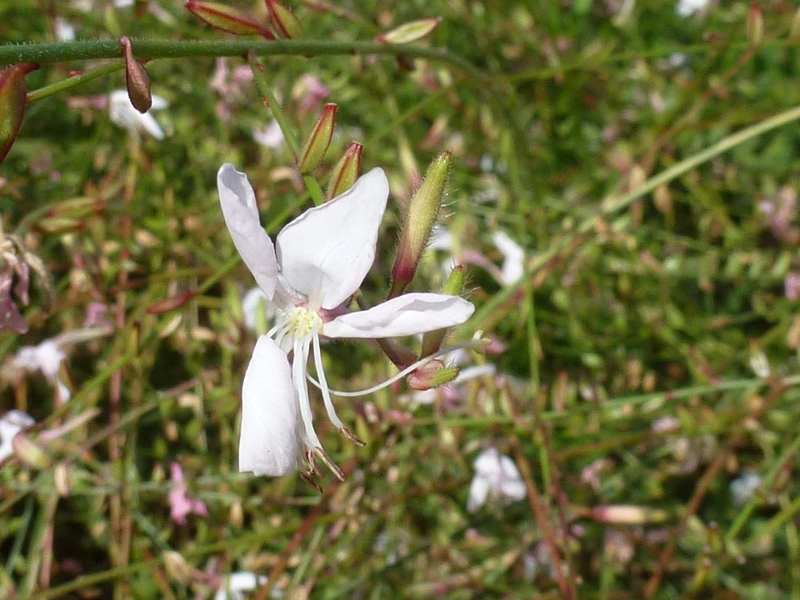 In my free-draining soil Gaura needs just a little water, the amount in the soil near the irrigated roses is enough, to flower for months. In some soils they need no water at all. There is a very obvious truth behind all the above. If I want a garden full of flowers in July and August all I have to do is use masses of water! I don’t want, or indeed feel it is right, to irrigate the whole garden so I must rethink some areas so that I am not forced to go around with a hose early morning or late at night trying to keep plants alive. Where the irrigation is, the plants survive on the amount I give them, they won’t flower in a very hot year like this one has proved to be but they will persist to flower another year and I think I have to be content with that. 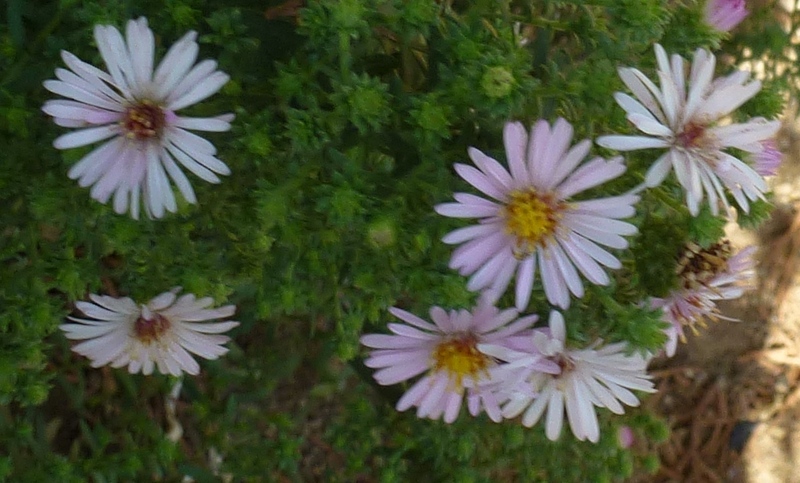 Asters need more water. I need to concentrate them in one or two areas where I’m prepapred to irrigate 3 times a week. Sorry some of the images are a little fuzzy; the wind was blowing! 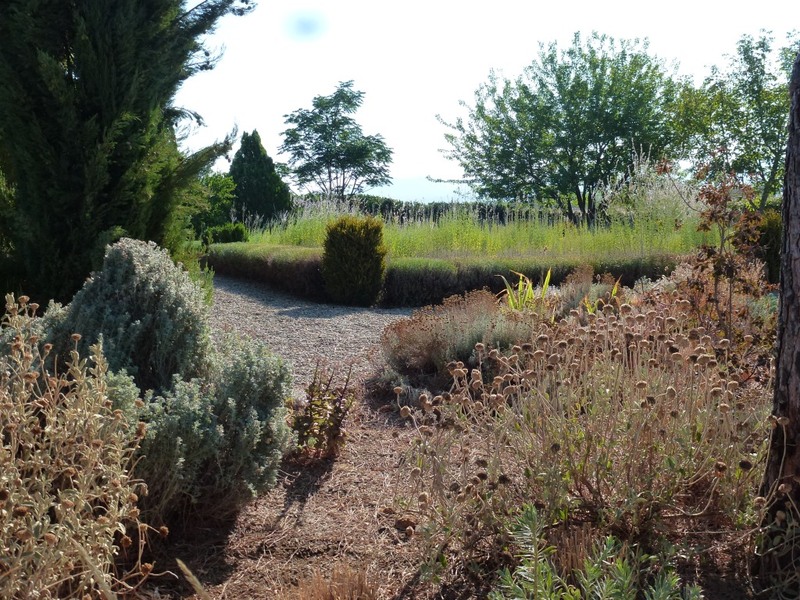 This is my 200th post, I wish it were a more positive one – but it is giving you a true vision of how the heat is effecting My Hesperides Garden. A week ago rain was forecast and I was just a little hopeful that the temperatures would begin to fall. Mid-August is when often the weather breaks; but not this year! This last week has been hotter than ever with news broadcasts recommending that the elderly stay indoors or visit air-conditioned shopping centres to keep cool! More elderly people die in Italy during hot summers than in winter. By eight in the morning it is almost too hot to stay in the garden and in the afternoon it is still really too hot to work even at six pm. The plus side to this is obviously that we can have dinner outside and watching the sun going down and begin to breathe again. This is an exceptionally hot year; records are being broken but I sincerely hope that the furnace that is August this year won’t be repeated for some years to come. 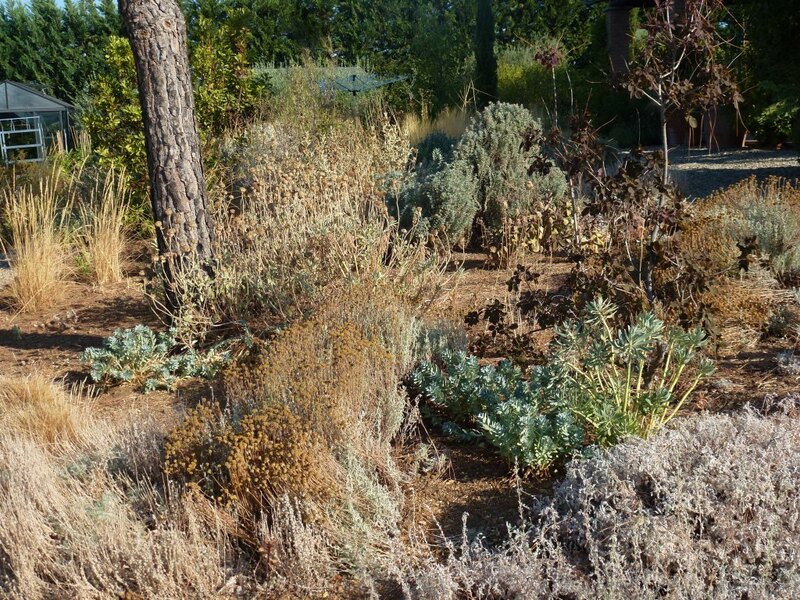 In the parts of the garden planted with drought tolerant plants I have been shocked to see plants suffering and possibly dying! Just how many plants I’ll lose is difficult to tell just yet; maybe I won’t know until next spring the exact number of plants that have succumbed to the record temperatures and the lack of any real precipitation for many months. I admit to being deceived earlier in the year April and May were not as hot as some other years although there was little rain. 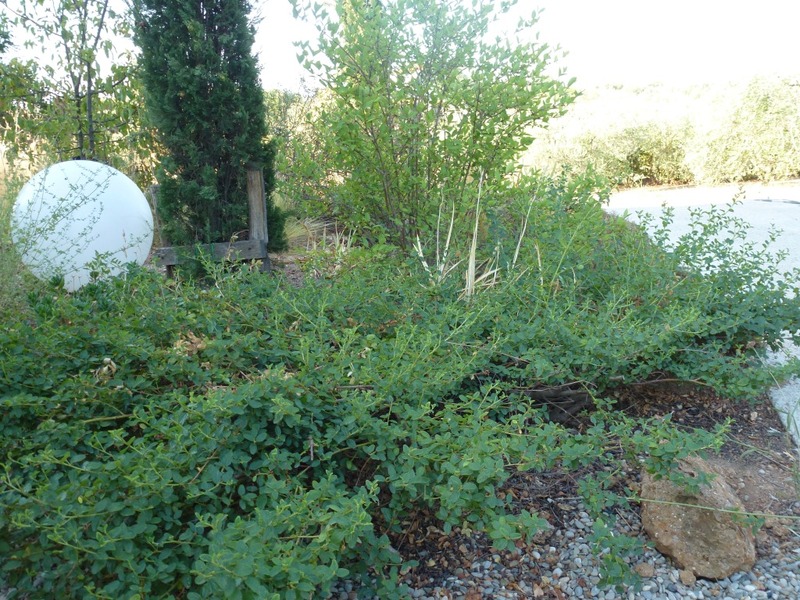 I resolved not to begin irrigating until it was really necessary – MISTAKE! 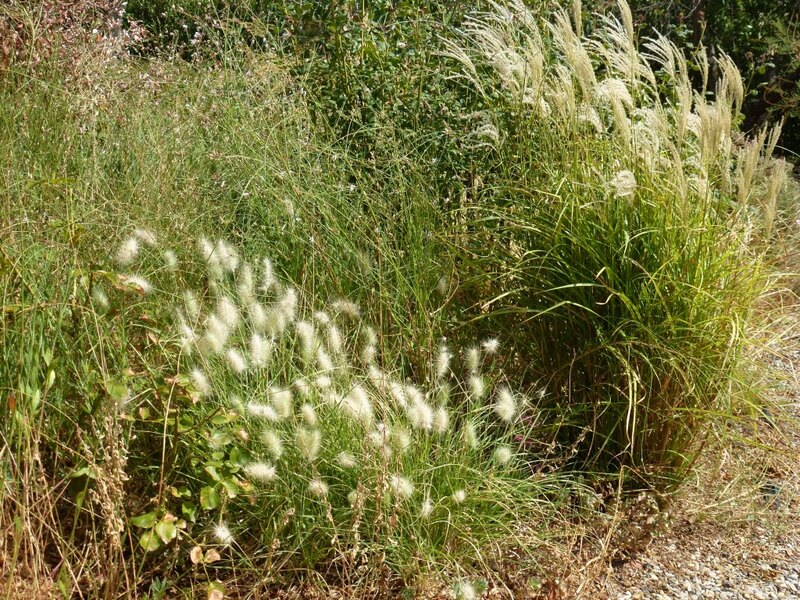 Early June was also not excessively hot but the 15th June the temperatures suddenly rose and with the heat also came strong desiccating winds – worst scenario for a garden and worse still I was away in Prague that weekend. 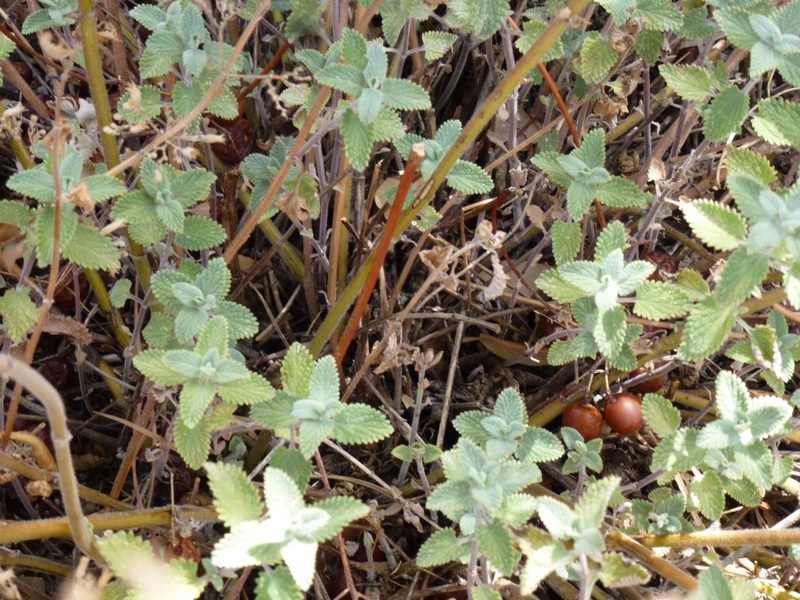 When I returned and saw the garden on Tuesday morning I realised that the ground was already dried out and that many plants were struggling, the struggling has continued to now. 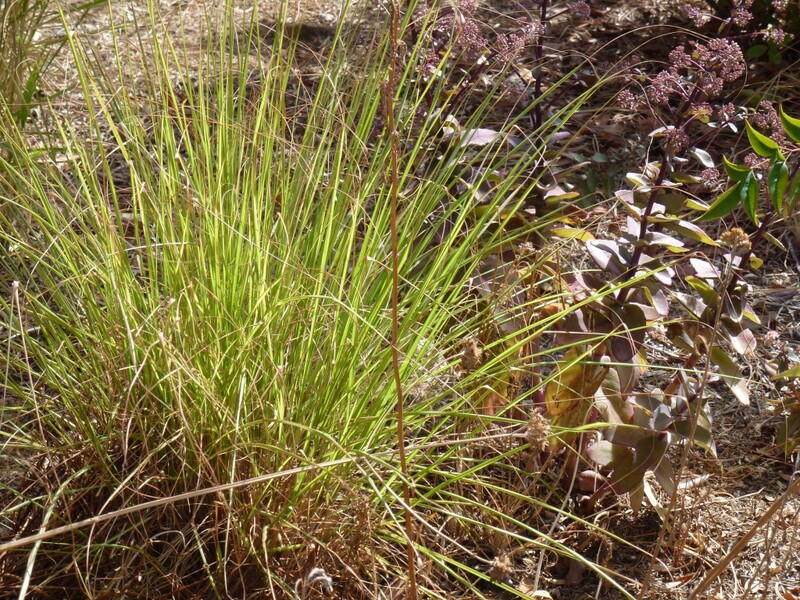 What plants have thrived in this heat and parched summer? Not many have thrived! Euphorbia myrsinites doesn’t mind how dry or hot it is, and most of my other Euphorbias are doing well too, especially E. rigida. 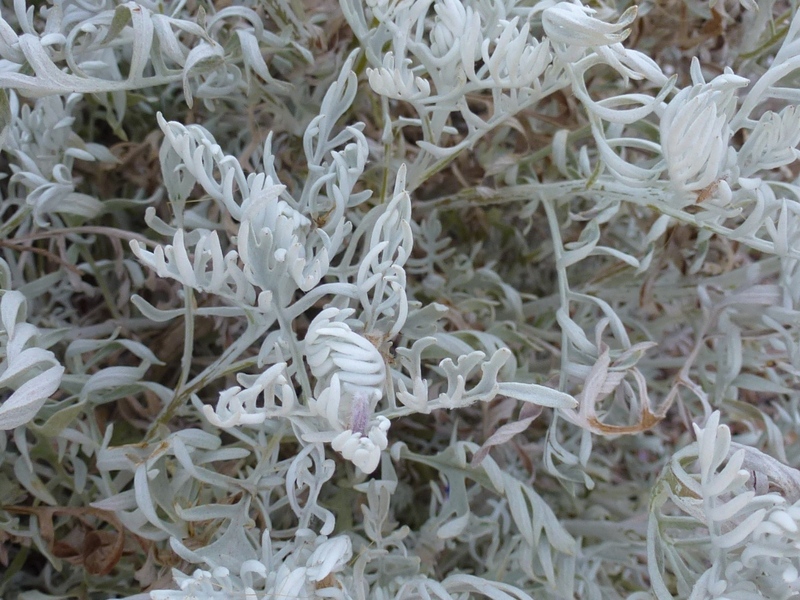 I had imagined that all silver leaved plants would at least tolerate the heat but some look pretty sad. 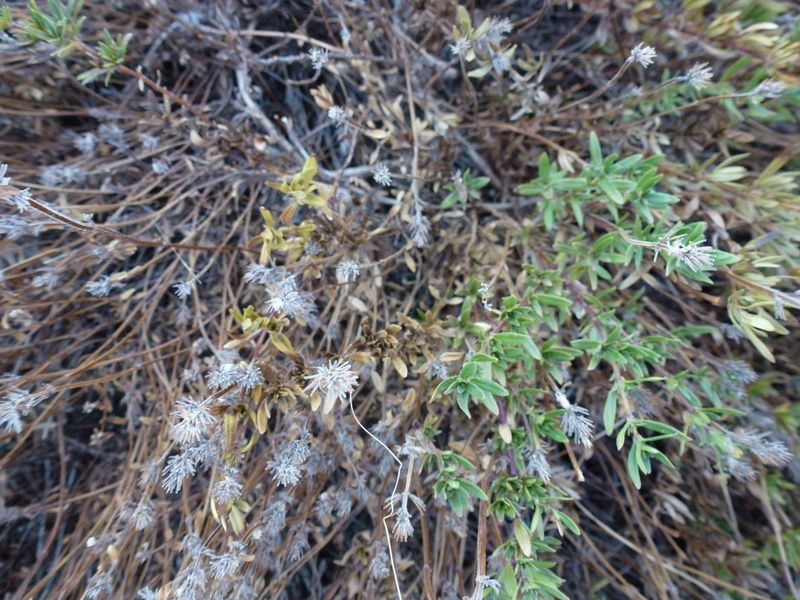 Senecio maritima and S. cineraria aren’t dying but their foliage is curled to protect them even more from the sun’s rays, this is also true of Artemisia varieties. Curled leaves even on a Senicio. Ceanothus repans certainly copes in these conditions and gives a lovely dark green mound at the corner of the drive. 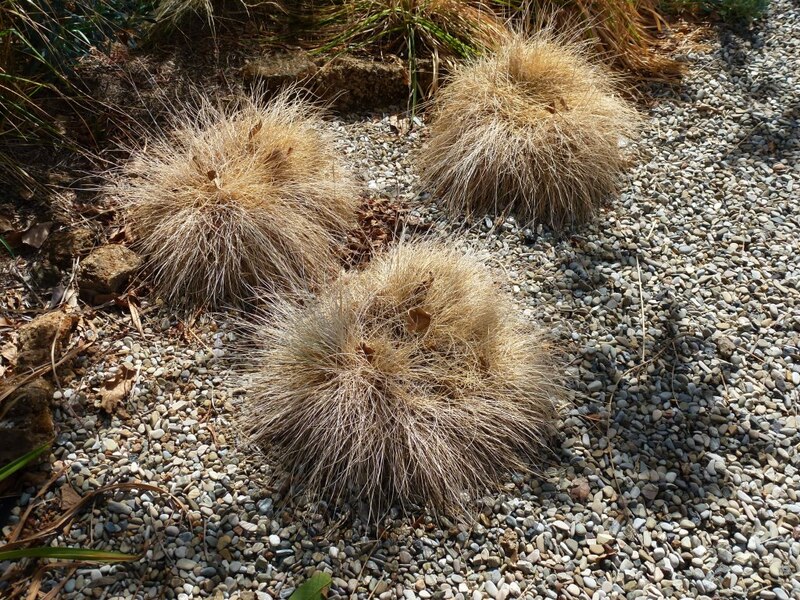 Festuca glauca was another plant that I thought I wouldn’t have to worry about (it is a signature plant in my garden), but the larger plants are looking very untidy and with more dead thatch than I’ve ever seen in previous years. I am hoping that if I lift and divide them the new plants will establish for next summer, I also have some small plants that were self-seedlings that can be planted as replacements for any that are truly dead. Surprisingly Lonicera fragrantissima hasn’t lost any of its leaves, I have given it some water during the summer but only when a nearby crab apple is stressed and I water that. Viburnum tinus is usually considered a tough plant for almost any conditions; it is the wind that has caused most damage to this shrub, the side that receives the afternoon wind from the west is completely scorched, and I doubt that the branches on this side will recover. Even the lavender hedge around the formal beds has patches that I’m hoping aren’t dead. 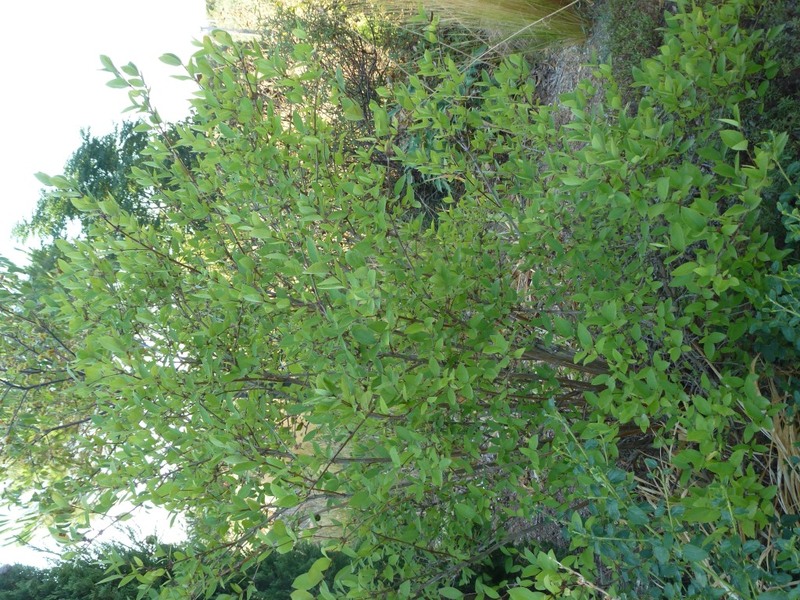 It has been pruned so that light and air can reach into the bushes; again this will be a wait and see scenario; it will be a huge problem if some plants have died completely leaving ugly gaps. To finish a few other images (good and bad) of My Hesperides Garden today. These box balls are likely to be my more expensive loss! I don’t think these Hemerocallis are dead but they are really suffering. All the images were taken at around 8.30 in the morning, you can see how strong the glare of the sun is, even at that time. 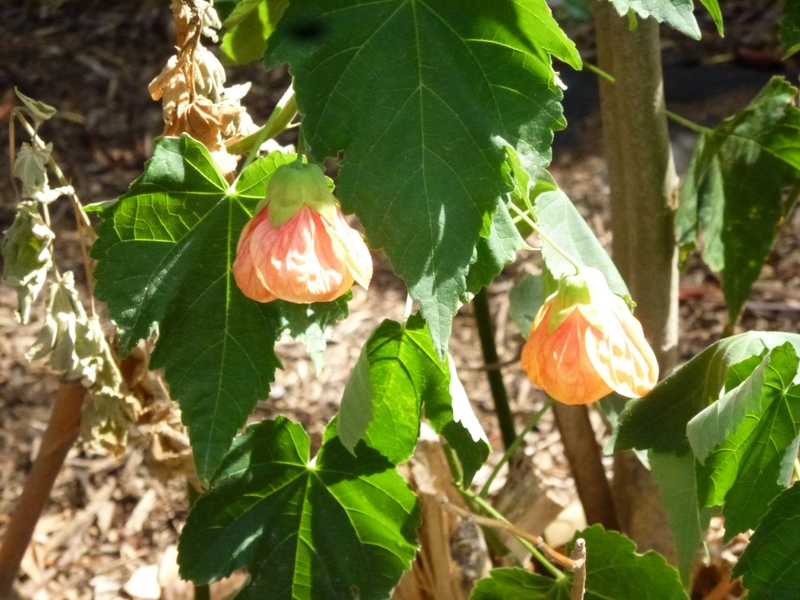 I hope you will want to share some of your foliage on this Garden Bloggers Foliage day, just leave a comment with the link, thank you. I’m looking forward to some lush foliage from the UK and spring offerings from the southern hemisphere. GBBD – August – Will it ever rain? Yesterday the sky was overcast in the way I remember August days in England; the air felt thundery, rain had been forecast but I wasn’t very hopeful. At around 5pm I could see black clouds on the horizon and hear the constant drum of thunder, I even saw some small flashes of lightning; I could see the dark shadow of rain actually falling between me and the horizon. Would it rain here? With my whole body I was willing it to rain – I almost imagined myself running outside and being soaked by large drops of water, f it running down my face, drenching my hair. I can hear my English readers laughing, I know you’ve all had a wet, cold summer and I must sound like some crazed woman who should be taken quietly by the hand and put somewhere safe. But to continue, a breeze picked up, the breeze felt cool – wonderful; IT MUST RAIN! And, well, it did rain, a bit, maybe 15 minutes of good gentle rain that the ground sucked in, and my poor plants almost seemed to drink in, and then the sun came out again and it was warm and humid all over again and I felt let down, as if I’d been teased by this small taste of what could be if it rained for a day, 2 days, a week! OK, so today is back to being hot! Humid and hot, my skin is prickling, today feels worse than before but the garden has had a little drink and there is the promise that summer is nearly over. The 15th August is a holiday in Italy, the Assumption of the Madonna, a bit like August Bank Holiday in the UK. 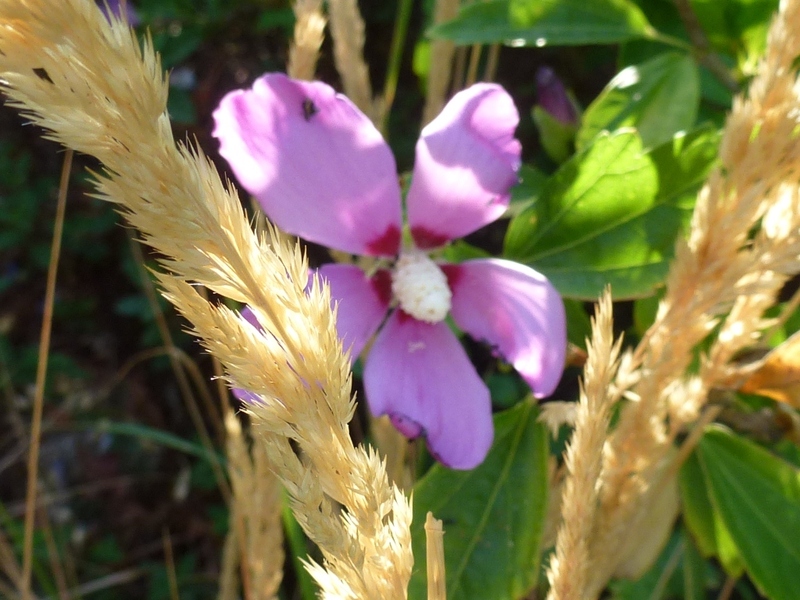 There are some flowers in the garden, although apart from some Perovskia on the bank, some Hibiscus and a surprise, all the other flowers are where I irrigate. 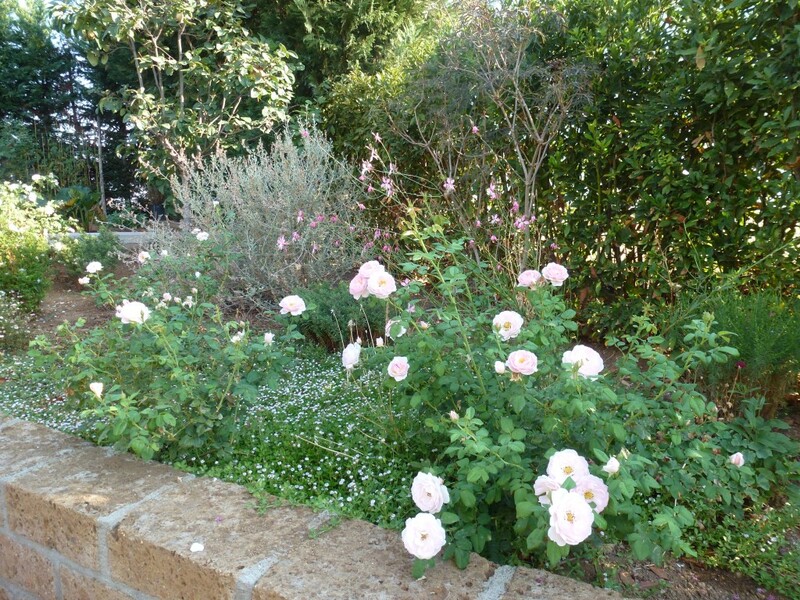 The triangular rose bed is looking full of bloom, there is a reason for this; the irrigation pipe has broken several times so the bed has been soaked and the plants respond by blooming. Half the line of Rosa mutabilis are flowering, the other half are not. All are getting some water but the ones that are flourishing are also getting a small amount of run-off from the vegetable beds; just a little amount of water makes so much difference. This year has been the hottest since we moved to Italy, nine years ago at the end of this month. For gardening it has been challenging and I sincerely hope that it will be another 9 years before it is quite so hot again. By next month I will know which plants have survived their test and which I will need to replace with something more drought tolerant. Two of the Hibiscus were grown from cuttings taken by a friend and I would like more; I’ve noticed she has a white one with a purple blotch, now must be a good moment to take some cuttings of that. I mentioned a surprise earlier; as I was walking around the garden this morning taking photographs my eye was caught by a plant covered in flowers, more flowers than leaves it seemed. I’m certain that 2 days ago it wasn’t flowering; it is almost as if the rain has prompted it into life. The bees love it, I’m happy because I know that it is a little tender and I had thought the freezing temperatures might have killed it this past winter. What is it? A Westringier! 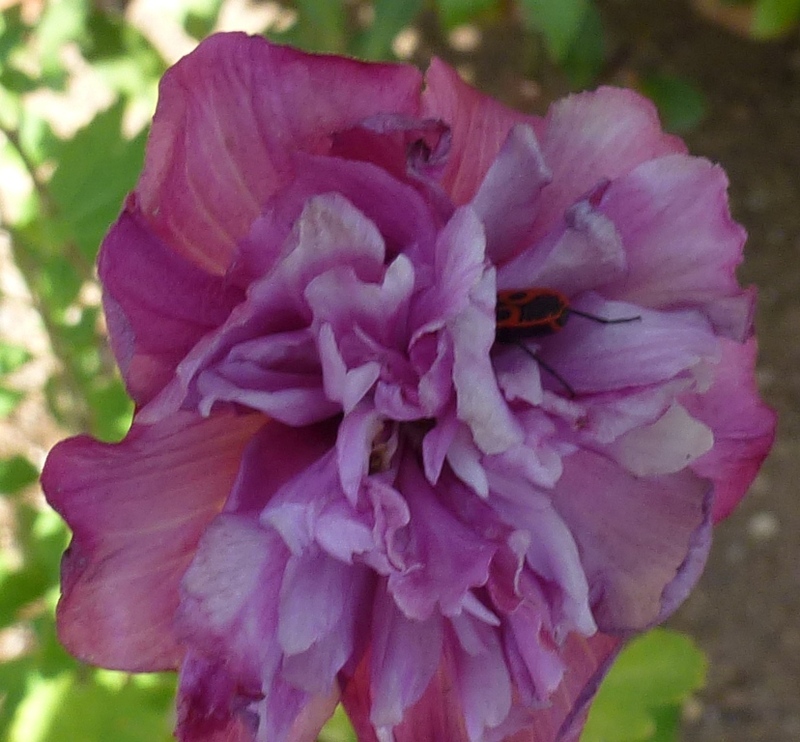 Thanks to Carol at MayDreamsfor hosting, I’ll also link to Blogger Blüten hosted by Gesine@Seepferds Garten. Thanks to both for hosting this great meme. I know I sounded depressed in my post yesterday and I have been feeling down; so many plants suffering and feeling I could do so little. But it really isn’t all despair in My Hesperides Garden. 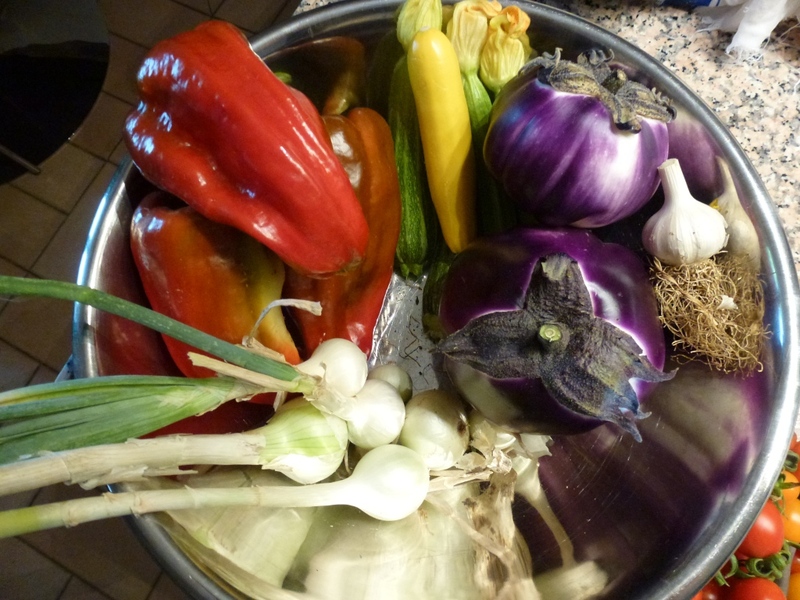 The vegetable garden has been producing pretty well; true some crops have not been as plentiful as other years but many plants are thriving – the vegetable plot, orto in Italian gets irrigated each night but this is not enough for everything. 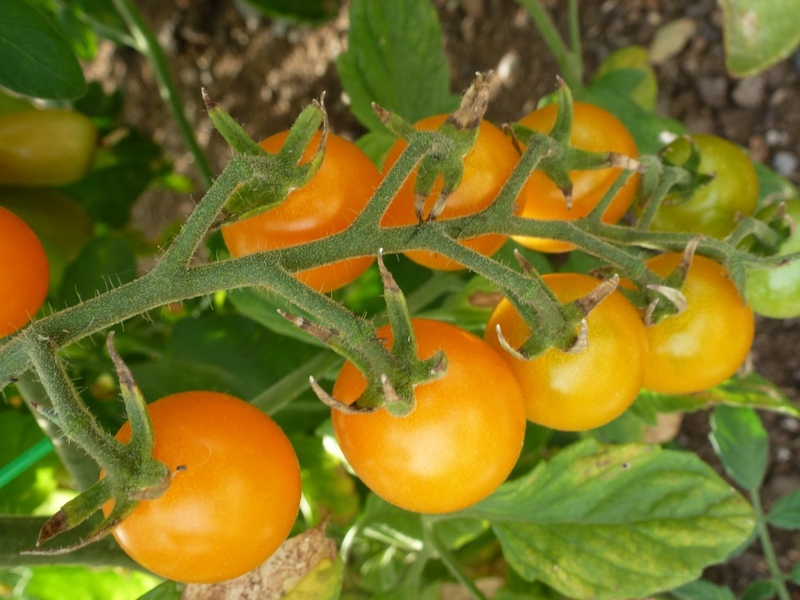 Tomatoes have been spectacular, they are planted in a bed that had manure spread last autumn and they have responded to the extra body in the soil by producing a wonderful crop. My store cupboard is bulging with jars of homemade sauce and we’ve been eating them in so many ways EVERY DAY! – No, I’m not sick of them, I don’t really eat fresh tomatoes in winter, they are never the same as fresh picked in summer so in winter they are for cooking in sauces so I’m ahead of the game. 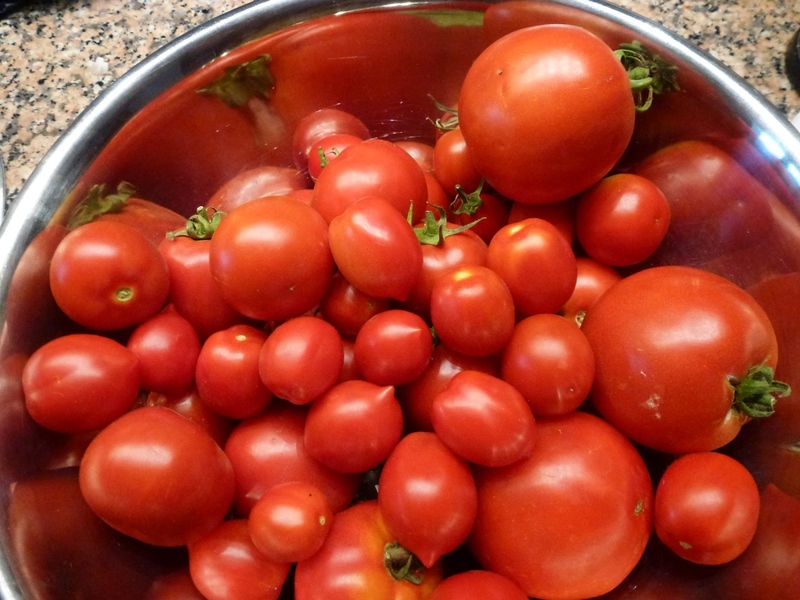 This is the first year I’ve made sauce, other years I’ve given huge quantities of tomatoes away and some have sadly just rooted on the kitchen work top. these, also from the garden, make wonderful roasted vegetables – I’ve made this almost every week for the last 6 weeks, not just for us but for parties too. 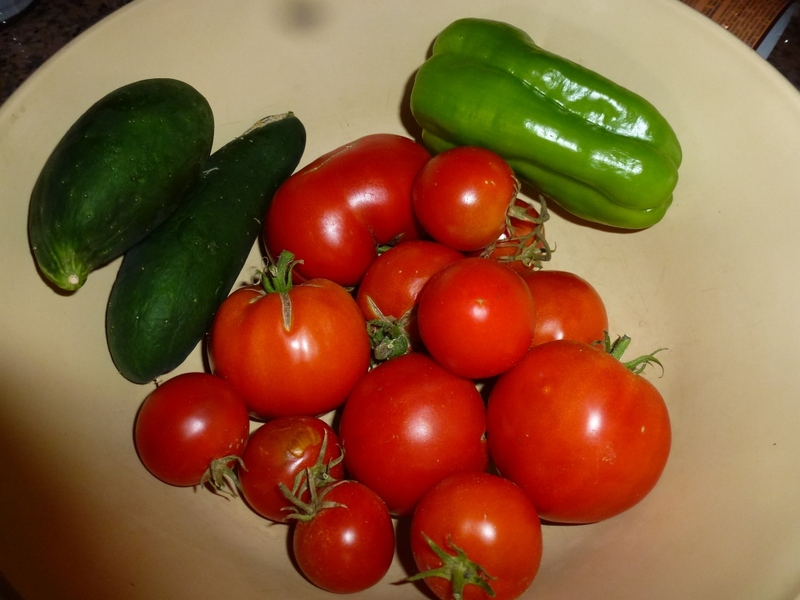 these were for Gazpacho – something else I make most weeks. 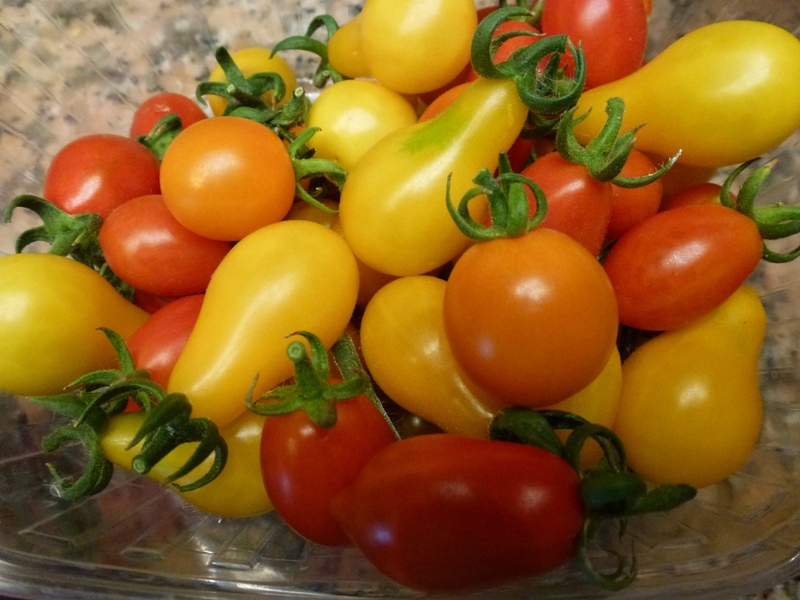 I love all the different small tomatoes, they are perfect in Mediterranean roast vegetables, or as a simple, hardly-cooked sauce or just to pop in the mouth as you pass by. I often make a raw tomato sauce for hot pasta by whizzing tomatoes, without their seeds and water with a little oil and basil and sometimes a little added buffalo mozzarella. The basil has also been better this year, not that it wants hot sun on it but with heat, shade and water I always have enough to make pesto and add to tomato salads etc. Thai basil was new for me this year and although it seemed to take an inordinate time to grow into useful sized plants is now growing well and I’ve already frozen some leaves whole; the next batch I’ll chop first, it has such an evocative flavour of wonderful Thai curries that I’m inspired to cook more of them. I think it might also be nice in cool drinks instead of mint or borage. 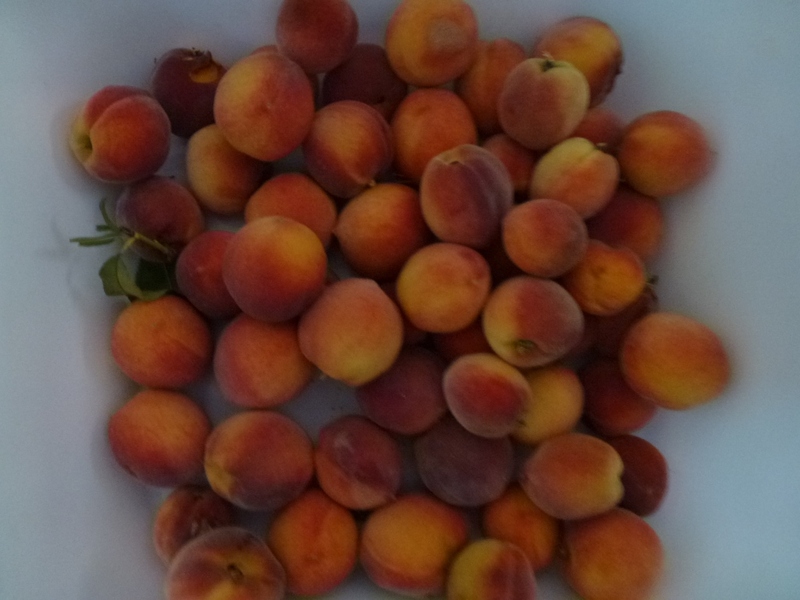 Today was a real high spot in my gardening life, I harvested my first peaches. I planted small trees last autumn that I intend to grow as espaliers; they were really quite small so I had no great hopes of having a crop this year. 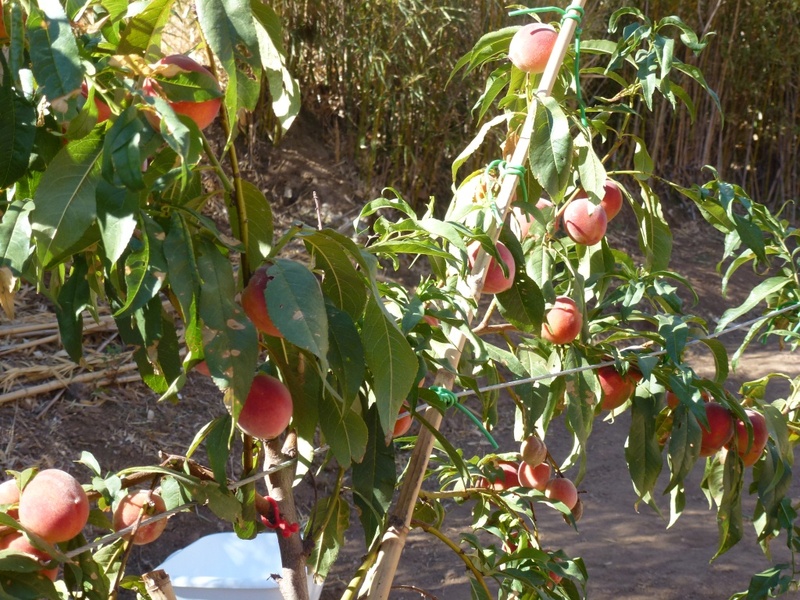 They are Redhaven and the label says they should be ready in July, well maybe because they a new trees or maybe the heat has stunted them they are ripe now! 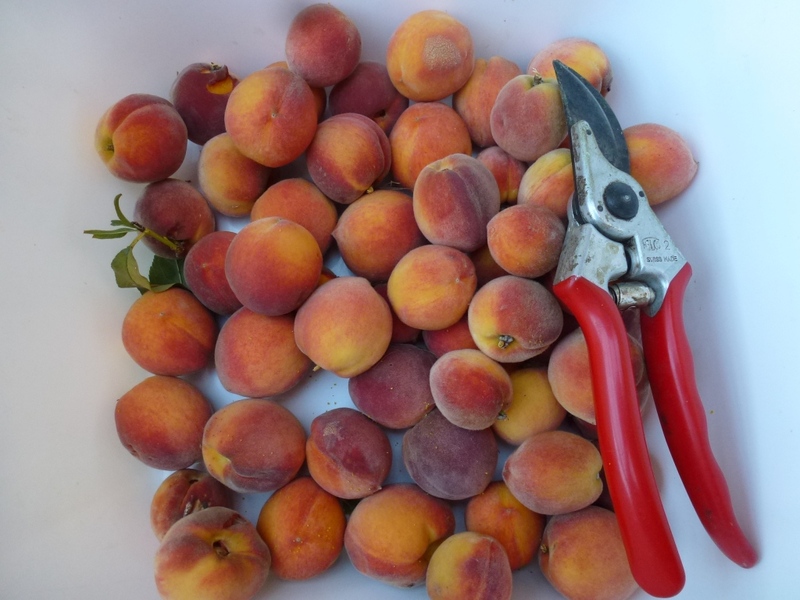 They are quite small, no very small, because I didn’t prune off any of the fruit so the tiny tree has produced a large quantity of small but delicious fruit! I had gingerly pressed them at the weekend but they seemed very hard; today they still felt hard (lack of water, I wondered?) so I picked one to eat and Wow! 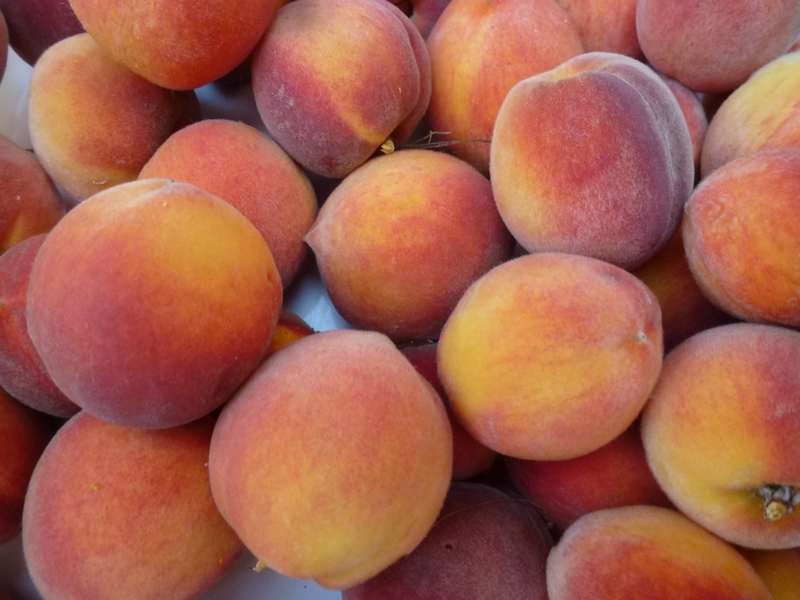 It was juicy and sweet and well, just the perfect peach – to me anyway. I harvested them all and I may put some into some white wine in the fridge so they last a little longer but the rest we’ll just enjoy as they are. 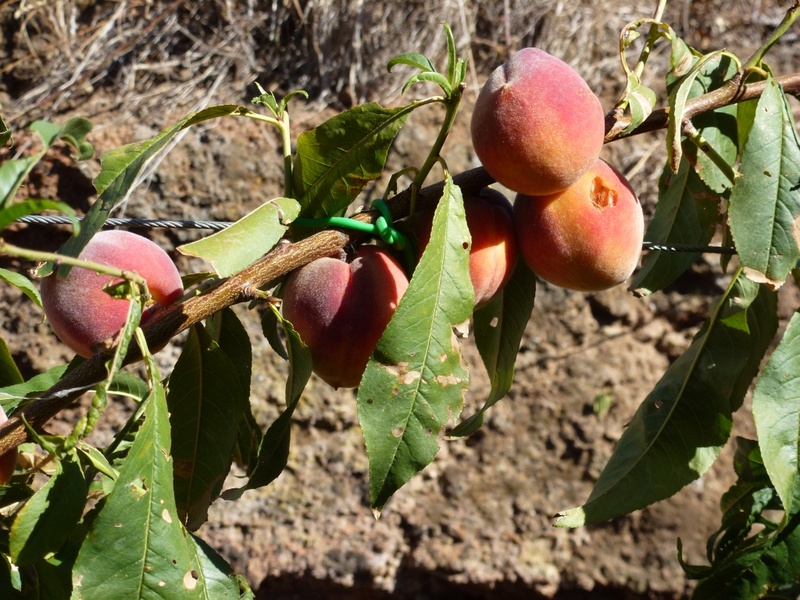 This year many people have found that tree fruit has gone from being under-ripe to over-mature in a day, due to the temperatures; but as there is a manageable quantity I’m sure we’ll be able to eat them before they spoil. I suppose these should have been pruned to just one or two fruits! ……but small, I put the secateurs so you could see what size they are (but we’re always being told size isn’t everything!). I haven’t posted in a while; I started the following post for GBFD 22nd July but didn’t manage to finish it. What has been wrong? 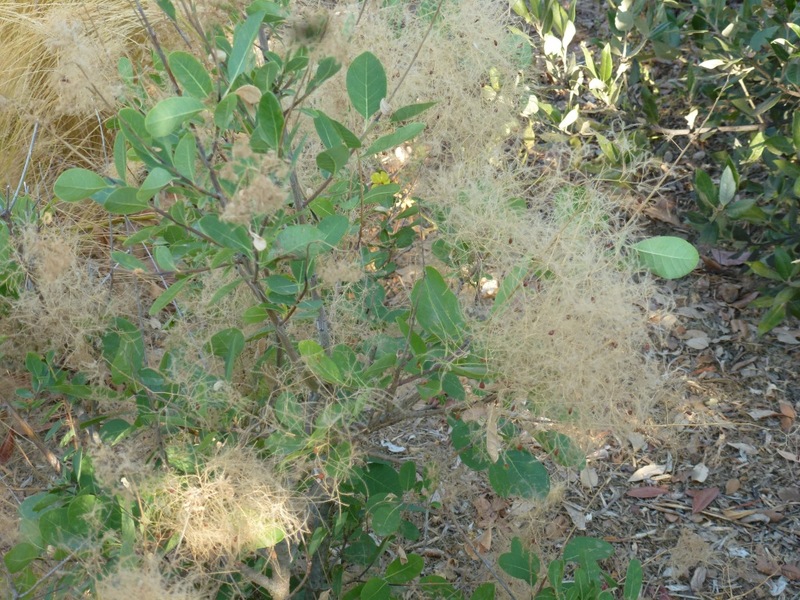 The HEAT, I can’t think, the garden is no pleasure when walking around only reveals another plant that looks dead. Some will recover, I’m sure but others….? Maybe some new planting opportunities? But what will I plant? This year is officially now as hot as 2003 (that was the year that in England temperatures reached 40° Celsius for the first time). 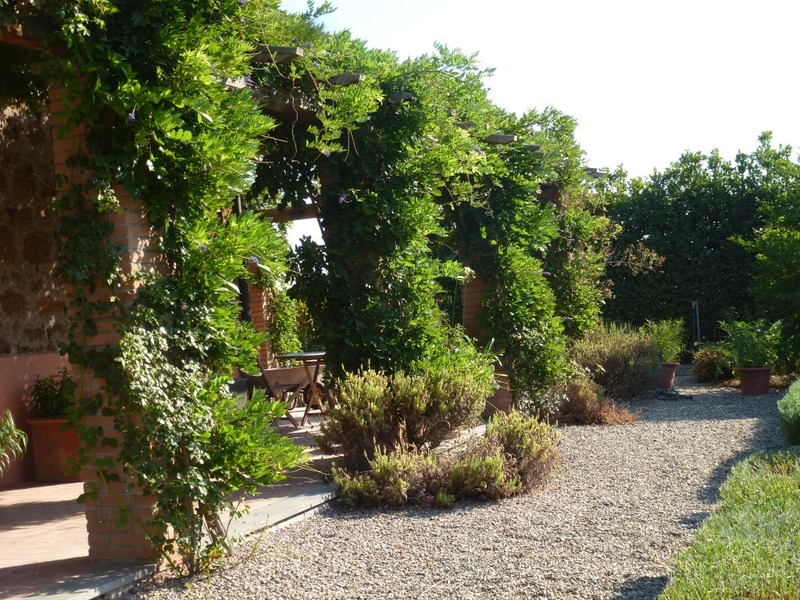 Here in Italy June was the 3rd hottest and 4th driest for 200 years – no wonder my plants and I are suffering. I don’t want to irrigate more for environmental reasons and because I don’t know how much water it is possible for the well to sustain if I remove so much each night. It is our only source of water. It is precious. It is expensive – the well is 100m deep and the pump to lift from such a depth is large and expensive to run. I will post about the harvest in a day or two but until then I leave you with what I began to write last month. 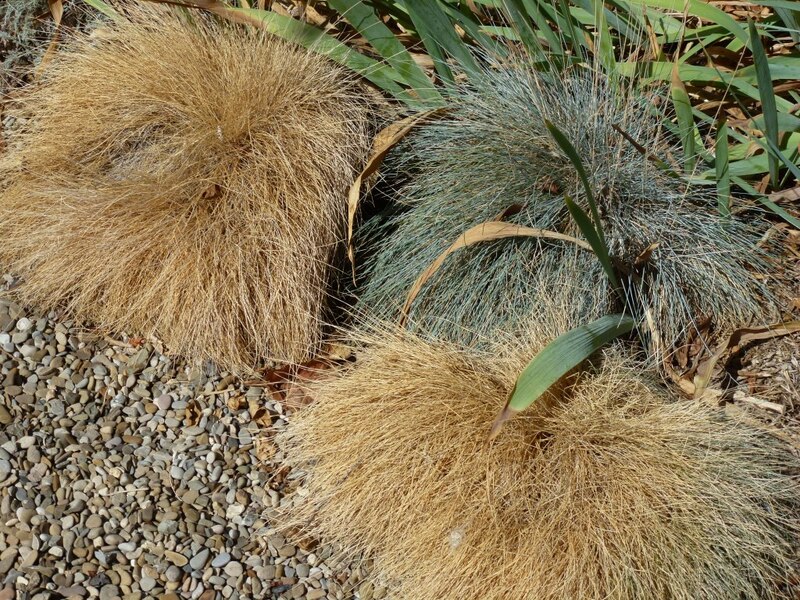 Until I came to live in Italy I had no idea that plants could be dormant in the hottest months of summer in much the same way that they are in winter. 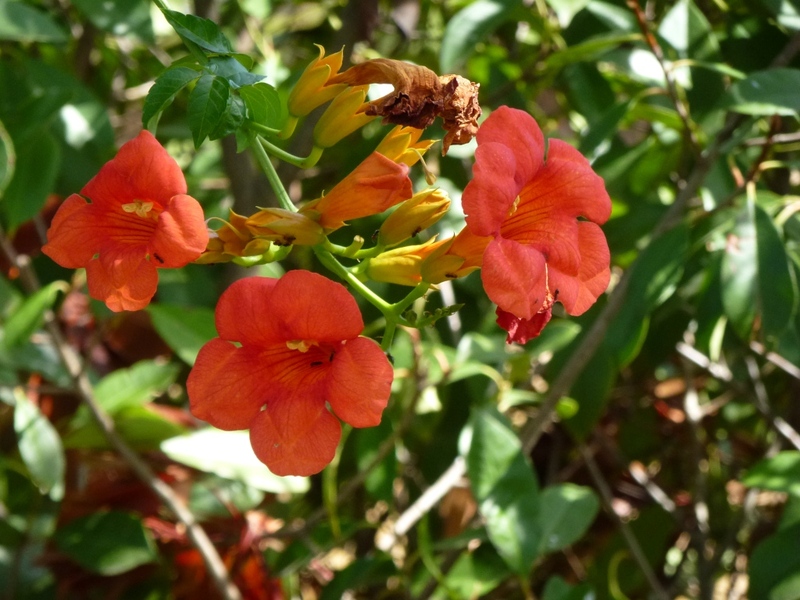 Many plants that would flower all summer in more temperate climates take a rest for a couple of months and then begin to flower again in September; sometimes it is like a second spring when the first rains of autumn arrive. 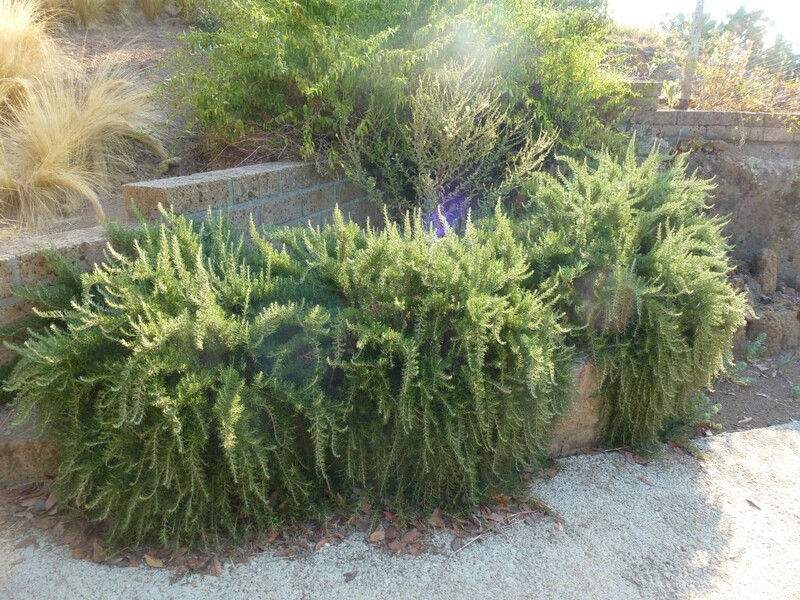 But it isn’t only the flowers than take a rest; foliage too takes measures to conserve water in various ways. Many leaves just look plain shrivelled and these are certainly the plants that with more water available would be happier healthier plants. 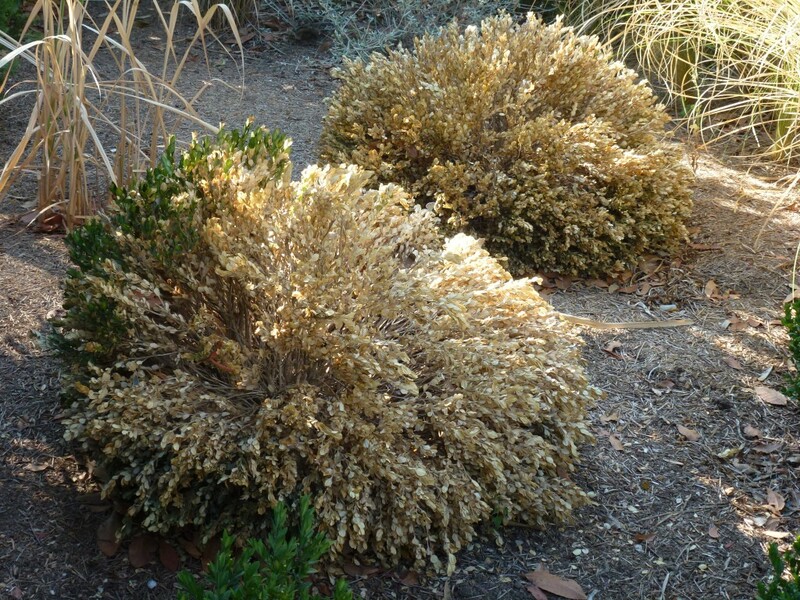 But even the plants that are adapted for drought conditions often don’t look as beautiful as in the slightly cooler months. 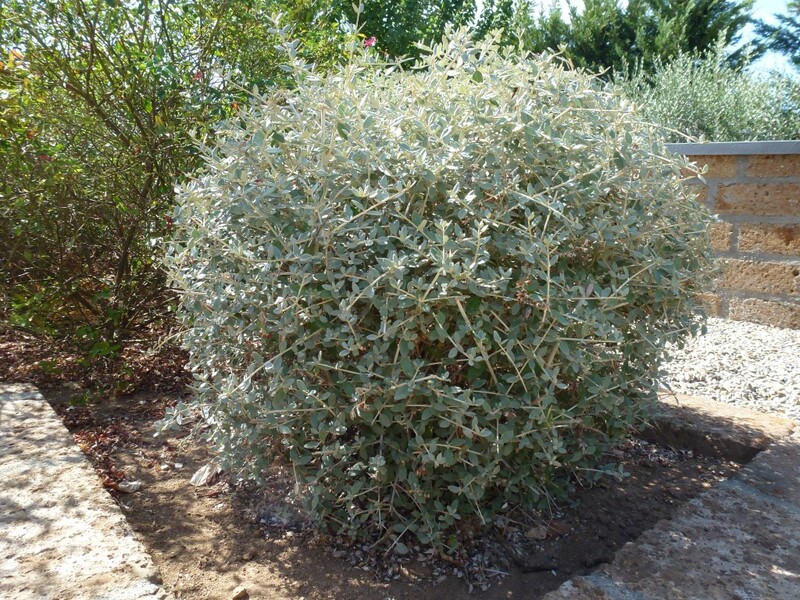 Cistus is one of these; a native Mediterranean plant that prefers free draining soil and grows wild along the coastal regions of Sardinia coping with strong winds and salt spray. This year the Cistus in the garden flowered for a much longer period than usual, possibly due to the extra mild weather we had in March; now the leaves seem to have curled inwards on themselves to stop moisture loss, giving the plants the air of having dropped half their leaves. 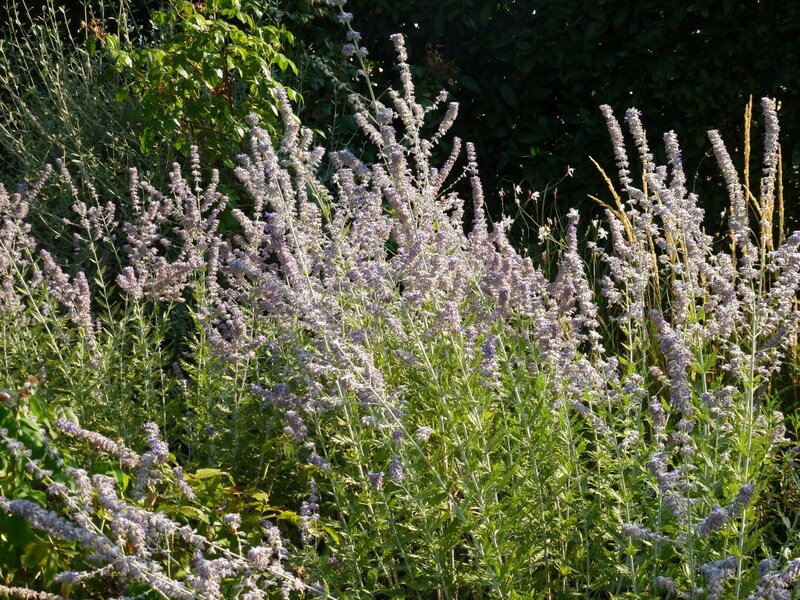 Silver leaved plants shimmer, reflecting the hard rays of the sun away from themselves and dazzle the eye. 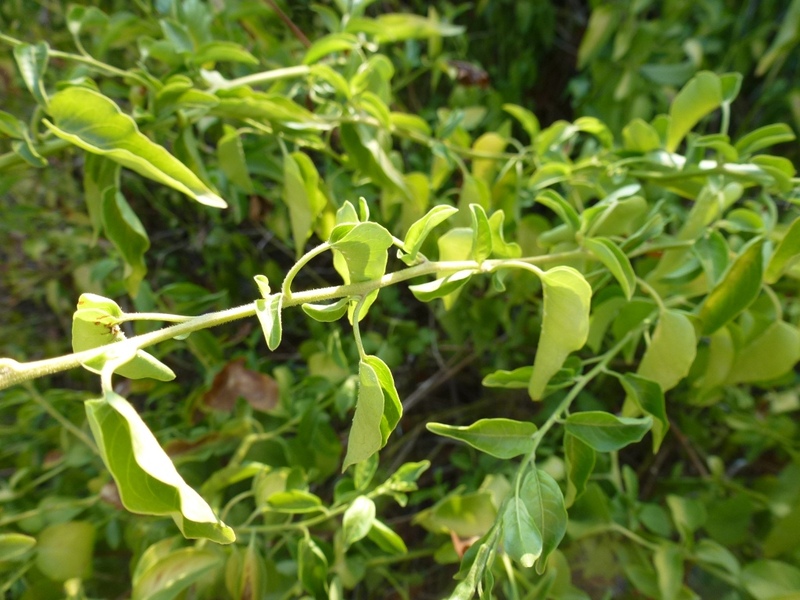 But this year even some of my silver leaved plants are suffering from the extreme heat.